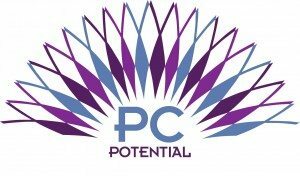 The Presbyterian Church in Canada PCPotential program provides special offers and benefits to PCC congregations and members. We’re continuing to build on this program by helping you save money, time and resources. Current offers are listed below. The PCC has partnered with Hamster to provide a discount on office and cleaning supplies to all PCC churches and members. Specifically, Hamster is competitive in paper and commonly used office supplies. Hamster is offering a 10% discount off regular catalogue items. Visit Hamster’s new and improved online ordering site at hamster.ca. Contact the Hamster account representative below to obtain a username and password. Go to the Hamster website and to Login here to log in. Search for products by entering in the product code or product description in the search bar. Outstanding service consisting of state-of-the-art distribution centres in Ontario, Montreal, Dartmouth and Calgary. Your office products delivered next day. You are free to return any unmarked item, in undamaged original packaging within 30 days of delivery unless specified on our Terms and Conditions. Staples Copy & Print has offered the following discounts to the PCC in order to help congregations and church ministries with their printing needs. To take advantage of this offer, simply print the Staples Discount Card and bring with you to your next visit to Staples. The PCC is pleased to announce a partnership with the United Church of Canada to offer congregations across Atlantic Canada (Avalon Peninsula only in Newfoundland) a discount on heating costs through Irving Oil. The discount also applies to church ministers and management at their home residences. To determine what kinds of savings you can expect, below are figures from the last three months with the Irving Oil discount. Keep in mind that existing pricing varies based on location, volume and delivery needs. Contact the Irving Oil representative and quote the discount code. For questions or more information about this offer, please contact Barb Summers (bsummers [at] presbyterian [dot] ca) in the Communications Office at +1(800) 619-7301 ext. 243. For more information about these offers, please contact Diana Veenstra, Financial Services, at 1-800-619-7301 ext. 320.